Apex Petals are ultra-light, yet fully supportive walking shoes. 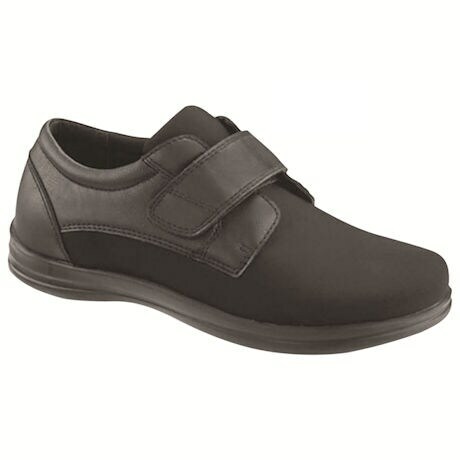 The Apex Petals Classic Strap shoes have an all-stretch upper that comfortably hugs delicate feet without squeezing. The hook-and-loop strap gives you full adjustability for a secure, squeeze-free fit... perfect for swollen feet. 5/16" removable depth in two layers gives you the extra room you need while accommodating your custom orthotics. Soft, breathable mesh lining surrounds your feet without overheating. Slip-resistant rubber outsole. Imported. Medium, Wide and Wide Wide in 5-11, 12, 13. Item can only be shipped within the Continental US.